My favorite piece of visual art is a Van Gogh self-portrait that hangs in the Met. It’s not big or particularly astonishing if you see it reproduced in a book or on a web page. I also know that it’s probably not very hip of me to relate that this is my favorite painting – kind of a pedestrian choice, no? I can’t even excuse it by claiming a lack of experience; I’ve certainly been through my share of galleries and museums. The thing is, that when I first saw this painting in person, it took my breath away. I turned the corner, saw it, and was dumbstruck. It’s the only time I’ve had a physical reaction to a painting. To be honest, there were quite a few impactful afternoons spent wandering in the Gardner in Boston (before the robbery) but I was in college and there may have been other factors involved… (I’m classifying those like wind-aided records in Track). But this little self-portrait caught me like a gut punch and even now, I don’t fully understand the source of its power over me. The long evolution of the Hit Factory is something about which I know far too little to present a detailed account. Even just focusing on the New York aspect of the story involves multiple locations. So I’m going the other way. Not only keeping to just one location in just one city, but just one room. 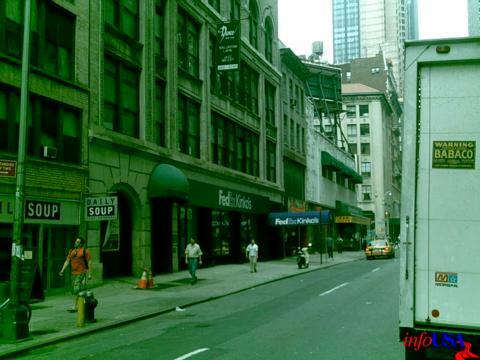 I worked in at least two of the New York locations and over the years I worked in several rooms in each of those buildings. There were big sessions and vocal overdub dates, easy days and at least one, very-near tragedy when a room full of New York’s finest session players nearly walked out when the Neve VR went down with a puff of capacitor smoke… but here, I want to focus on one particular spot in the Hit Factory universe: Studio B in the “old” building. The control room was not a thing of great beauty; in fact, I barely remember it. The décor was standard fare and the room was certainly not considered to be in the upper echelon of New York’s studios at the time. This was one of the lesser-used rooms in what had become the second-class location of the Hit Factory Empire of the mid 1990s. However, this little, rectangular box with a rather low ceiling and scuffed-up, hardwood floor was the best, pop-horn-section room I’ve ever heard. I was producing four songs in four different styles in three days of recording and we were doing the overdubs in studio B on the second and third days. The vocals sounded fine in the room on day #2 but it wasn’t like we were trying to emulate an opera house or anything; it was all just close mics (again, spell check Gods, this is how that word is spelled! But I digress…). When we set up for the horns, the engineer mentioned that the space was a little small for loud material and he was concerned that we were going to overpower the room with a four-piece horn section. I was getting worried and started planning out how we could preserve the performance with the players blowing at a softer dynamic level when we realized that we had some old friends working across the hallway. These guys were not only great players but also quite famous and vastly experienced studio musicians. I mentioned my concern about being in the small room to record horns and they both returned sly smiles and delivered the very emphatic point that we were working in New York’s best horn room. As soon as our players started to warm up I realized they weren’t kidding. The room came alive in a way that was not at all expected and it was truly gorgeous. There was about a 15 or 20 millisecond slap followed by a smooth, bright reverb. It WAS the classic New York brass sound. At this point, I should mention that I spent a fair part of the late 80’s recording some of New York’s best sax players in a closet in a mid-town brownstone. Mixing was an exercise in frustration, trying to craft that classic, NY sound with a Lexicon 200, a PCM 70 and a pair of PCM 42s. I did get quite good at it but it was a skill that developed with lots of practice and some great direction from a smoking engineer or two and even the players themselves. Don’t get me wrong; taking advice from (or simply working with) legends like Michael Brecker and Lenny Pickett is about as cool an experience as a young studio rat can have and I loved every second of it but the second I heard it, I knew that the sound of Studio B was what I had been fighting to create the whole time. It was like the moment when I first saw that Van Gogh or what I imagine an explorer might have felt discovering the source of the Nile. Literally, breathtaking. Maybe it’s not as well known as Muscle Shoals or Motown but every engineer who’s worth his salt knows exactly what’s implied when a producer asks for that “New York Horn Section sound”. To my mind, this unassuming little room was the place from where that archetype grew. Sadly, I believe this magical spot in the Universe is now luxury condos. I’m just glad I got to hear it beforehand.